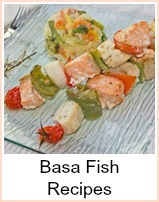 Basa fish is sometimes sold as River Cobbler or Catfish. It is a mild white fish much like cod or haddock. It's a lot cheaper as well. There has been some controversy surrounding it - in the UK, it's been passed off in shops as cod and people have been prosecuted for that. You can buy it fresh or frozen in most supermarkets and it's extremely versatile. You can substitute it for any white fish in a recipe. 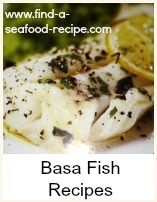 At the bottom of this page, are links to many more basa recipes - check them out. This recipe is delicious served with the cool yoghurt dressing and some spicy vegetable rice. 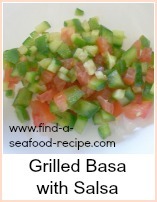 It cooks very quickly - you could cut the basa into strips if you prefer before frying. 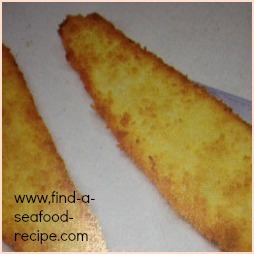 As always, any firm white fish will do for this recipe. Mix together the yoghurt, mint and cucumber and leave in the fridge whilst you prepare the fish. The water from the cucumber will slightly thin the yoghurt during this time. Combine the flour and spices and put them on a plate. Dip the fillets in the egg and then coat thoroughly with the spiced flour mix. Heat the oil in a pan - you want it quite hot - a piece of bread should float immediately when dropped it, then it's ready for the basa. Add the fish and fry about 2 - 3 minutes either side. Serve immediately with the dressing and some spicy rice. Add some curry paste or powder (you decide on the strength) to the water when you boil your rice - add some frozen peas or mixed vegetables for the last five minutes and you have perfect spicy vegetable rice. I use about two tablespoons of curry paste to two large mugs of rice - but I like my food spicy, so you might need to experiment with the amount of paste you use - start with one tablespoon and if it's not spicy enough, add a bit more. This makes a good side to go with any indian dish - it's a variation on one of my favourite dishes - tomato rice. There's more recipes at these links - but also, use the search box at the top of the page as there are many more recipes scattered in amongst the various categories, stews, casseroles and others. 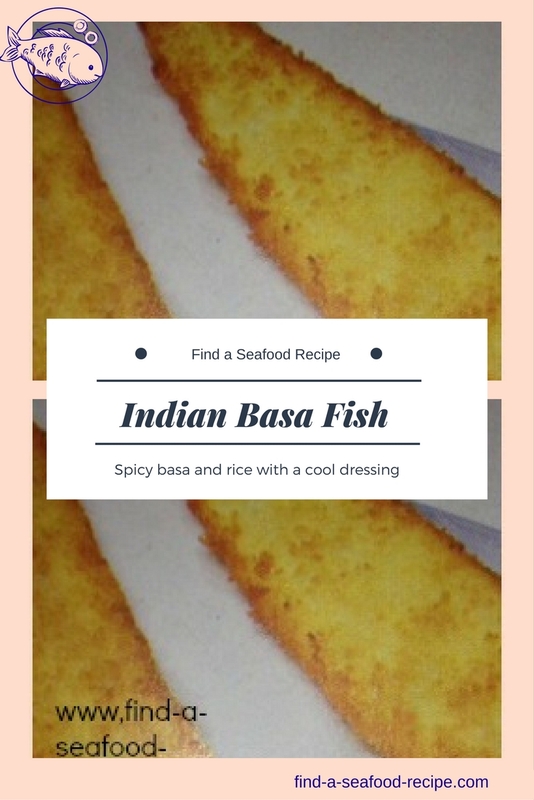 Basa fish with a spicy indian coating, pan fried and a minty yoghurt dressing - so delicious and you can use this coating with any fish you like, fillets or goujons..